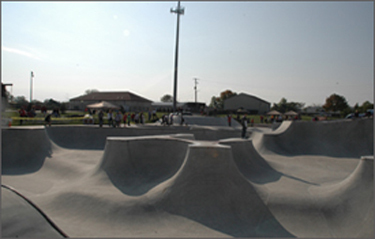 Built in 2006, the Grove City Skate Park features a 11,000-square-foot concrete skate park providing areas for the novice skater to the highly skilled including ramps, rails and boxes as well as bowls with sides ranging three to 18 feet high. 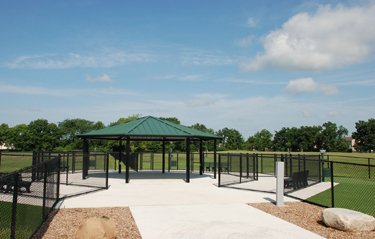 Gantz Park has beautiful rolling terrain, perfect for picnics and other gatherings. The two-story barn was renovated in 1988 to accommodate a variety of youth activities including the RecSchool early childhood program. The Gardens at Gantz Farm is a public herb garden with an estimated 10,000 visitors per year. Both the gardens and the farmhouse also are used for programming. The entire eastern side of the park has been designated as the Gantz Park Arboretum. Visitors can visit the arboretum to learn about different tree species. Big Splash Family Aquatics Center at Evans Park is a seasonal, municipal aquatic facility. 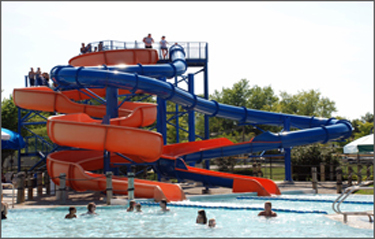 Grove City’s water park features a large zero-depth entrance, interactive water toys, a large body slide, tot slide, two drop slides and a six-lane lap pool open seasonally Memorial Day weekend through Labor Day. Patrons also enjoy a concession stand, entertainment stage, geometric shade structures, green space in which to spread out and many lounge chairs in which to relax. Facility is closed days when the South-Western City School District is in session. Named in honor of the founder of Grove City, William Foster Breck, this park is a prime destination for dog lovers as it is home to dedicated off-leash dog play areas for large and small canines. The park also features walking and biking paths, a water fountain with pet-bowl function, a retention pond and off-street parking. Future plans for Breck Community Park include a picnic shelter, grills and playground equipment. 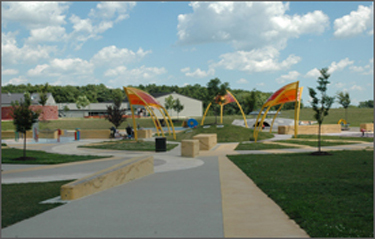 The park also boasts a splash pad; eight softball diamonds with a concession stand; a preserved wooded area for bird watching or nature walks; a one-mile recreational trail for walking or biking; a sledding hill; and Discovery Frontier, an all-accessible playground featuring a space theme. Rotary Lake at Fryer Park is an ideal location for scenic picnics or fishing. No fishing license is required, but all fish must be immediately released. 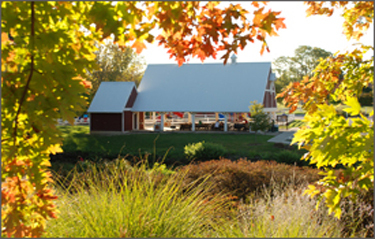 Established more than a half century ago, Windsor Park is the oldest community-sized park in Grove City. 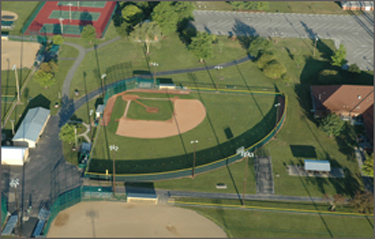 It is home to the city’s youth baseball program and features 10 diamonds including two turf fields as well as the Mirolo Dream Field at Mount Carmel Stadium for players of all abilities. The park includes a traditional playground as well as one that meets the needs of children who face physical or mental challenges. Windsor Park also is home to the Evans Center, a 14,000-square-foot center that serves as the epicenter for activities for the community’s adults age 55 and older. The alternate entrance is located at 4330 Dudley Ave., Grove City, Ohio 43123. Henceroth Park Henceroth Park is a 22-acre eco-friendly park. 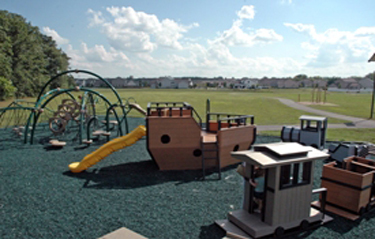 With a wooded nature trail, solar lighting and playground equipment made entirely from recycled materials, Henceroth is committed to going green. A walk/run/bike path with exercise equipment, a butterfly garden and bluebird boxes are also noteworthy features. Henceroth Park is also home to a number of military tributes including the Purple Heart Memorial Walk. Future plans for Henceroth Park include additional recreational trails, multi-use courts, picnic shelters, multi-use sport fields and additional parking. 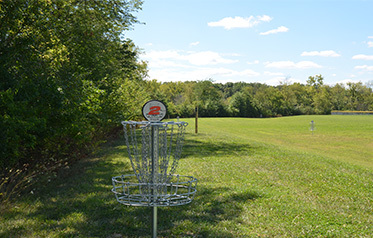 Located on the campus of the Grove City Church of the Nazarene, the disc golf course is a cooperative effort of the City of Grove City Parks and Recreation Department, the Grove City Church of the Nazarene and Boy Scout Troop 275 of Grove City. The construction of the course was part of an Eagle Scout project completed by Paul Rouch of Troop 275. The 18-hole disc golf course is a great way for beginners to learn the game, for families or friends of different skill levels to participate together or for more competitive players to keep their skills sharp or enjoy a leisurely round close to home. The object of disc golf is the same as traditional golf – complete the course by throwing discs into metal targets with the fewest tries. Players can use a traditional flying disc or Frisbee® or more specialized discs designed for the sport. Holes ranging from 180 to 297 feet long skirt along the athletic fields and perimeter of the grounds behind the church and school. It is free to use and open to the public from dawn to dusk. Participants may park in the church parking lot.